It's always a coup to lure a Fortune 500 company, especially for an area that needs all the corporate clout it can get. It's reason to celebrate. And with the big news that Mosaic is moving its headquarters to Hillsborough County, it's also a good time to brush up on what this massive company is all about. Mosaic is the world's largest combined producer of potash and phosphates but is more behind the scenes than some of our other corporate behemoths, like Bloomin' Brands or Publix. Mosaic mines phosphate and potash, and then turns it into the fertilizers that, among other things, grow the feed that fattens up the cow that becomes those Outback steaks. The company also has an extensive distribution system to ship the products as far away as Asia and South America. Mosaic's headquarters, with about 150 jobs, had been in Plymouth, Minn. Don't focus on the number of jobs. This is about bragging rights and corporate mojo. It signals that the Tampa Bay area is a player, a place that other businesses should consider for their home base. TPA-GRU: How Mosaic's relocation could help Tampa International Airport land a direct flight to Brazil. MOVING: Fortune 500 company Mosaic to relocate headquarters to Hillsborough County. Just ask Charlie Weaver, executive director of the Minnesota Business Partnership. "It's another blow to our ego in Minnesota," he said after the announcement. "…This is a global, highly-competitive economy that we're in and we can't afford to take these large employers for granted." Mosaic already has a massive footprint in Central Florida. The company employs more than 3,000 workers in the state and uses an additional 3,000 contractors. The median pay and benefits for its employees, not just the ones in Florida, is almost $89,000. The company also holds title to 290,000 acres in the area, most of it in Polk, Manatee, Hardee, DeSoto and Hillsborough counties. That's enough to cover the city of Tampa 2½ times. And it holds the rights to mine other Florida properties rich in phosphate reserves. 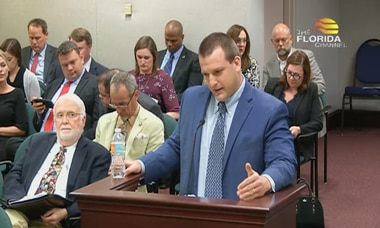 As for Florida's politics, Mosaic has contributed about $2.3 million to state campaigns since 2005, according to the state Division of Elections. That's not a lot over 13 years, especially given the size of the company. Duke Energy contributed at least $9 million in just the 2014 and 2016 election cycles. Publix gave $2 million in just the 2016 elections. Mosaic mostly gave to Republicans, including the Republican Party of Florida ($923,578), the Florida Republican Senatorial Campaign ($100,957) and Adam Putnam ($48,750), the agriculture commissioner and candidate for governor. But it also gave $124,500 to the Florida Democratic Party. The company has ponied up about $200,000 for Florida's federal races since 2012, including $3,950 to Rep. Dennis Ross, R-Lakeland, and $2,600 to Democratic Sen. Bill Nelson, according to the Center for Responsive Politics. In 2017, Mosaic tallied $7.4 billion in net sales, more than local heavyweight Raymond James ($6.4 billion), though behind Wellcare ($16.8 billion), Jabil ($19.1 billion) and Tech Data ($36.8 billion). It had $18.6 billion in assets, including about $2.2 billion in cash, according to filings with the U.S. Securities and Exchange Commission. 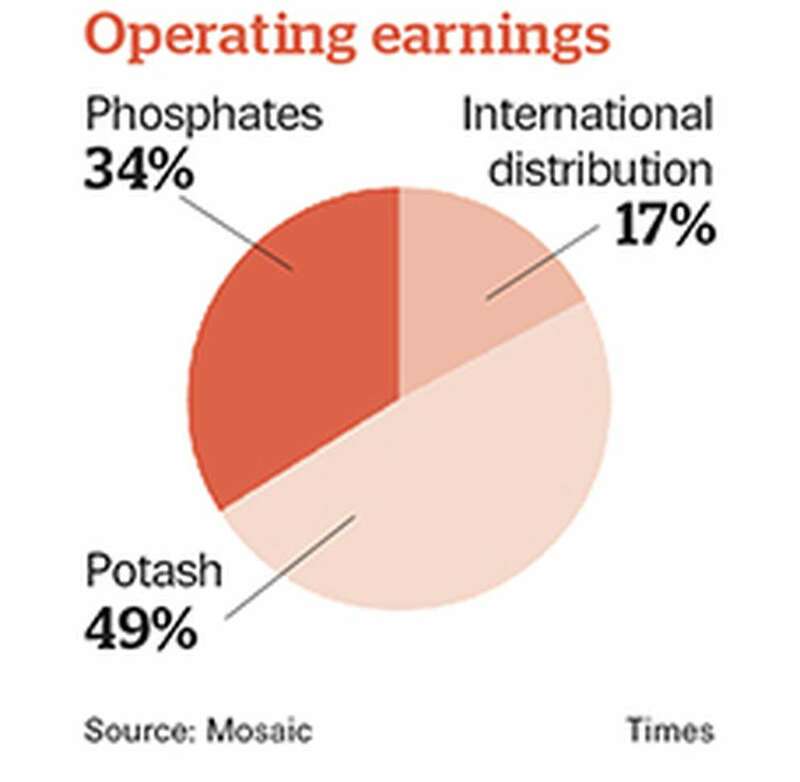 Along with mining Florida phosphate, Mosaic made much of that money from its potash operations in New Mexico and Canada, and its extensive distribution network, which allows it to serve customers in 40 countries. Mosaic's international business continues to expand. It owns a quarter share in a massive $8 billion phosphate mining and processing facility in Saudi Arabia. The plant, touted as highly efficient and one of the largest in the world, began limited operations last year. Once fully operational, it should give the company better access to the growing Asian market, China and India in particular. Earlier this year, Mosaic completed its biggest purchase ever, Brazil's Vale Fertilizantes. The deal, which included $1.08 billion in cash, netted Mosaic five phosphate mines and one potash mine in Brazil, four chemical plants, another potash mine in Saskatchewan, Canada, and increased its interest in a phosphate mine in Peru. The purchase also nearly doubled its total number of employees to over 15,000 in six countries. Buying Vale will substantially increase Mosaic's Brazilian business, which already accounted for a sizable chunk of its sales. Expansion into other countries will help diversify the company's potash and phosphate supplies and provide a buffer against some of the ongoing environmental concerns in Florida. Mining phosphate requires tearing up the landscape. Turning it into fertilizer leaves behind the slightly radioactive byproduct phosphogypsum that has proven difficult to get rid of. 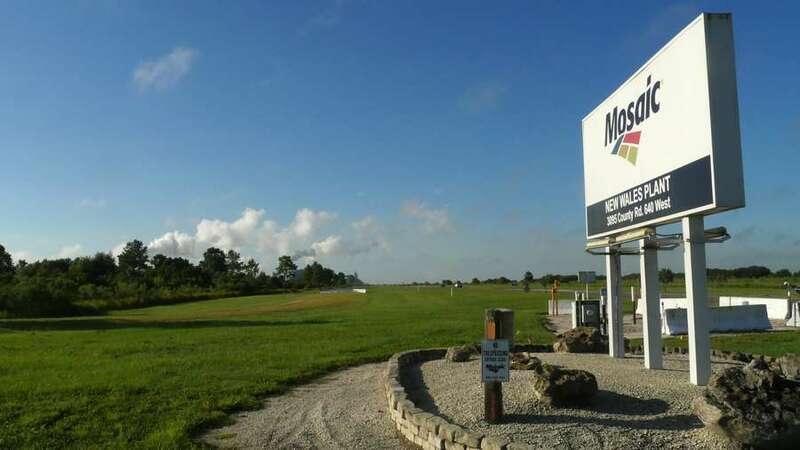 Mosaic has faced legal challenges from the Sierra Club and other environmental groups when it has tried to expand Florida operations. In 2015, Mosaic reached two settlements with the Environmental Protection Agency to resolve claims about hazardous waste management practices at eight sites in Florida and Louisiana. The company agreed to pay an $8 million fine. It also committed $630 million, which will grow to $1.8 billion, to support the long-term care of phosphogypsum stacks on those sites. In 2016, millions of gallons of contaminated water poured into the earth when a huge sinkhole opened up at a facility near the Polk-Hillsborough county line, again raising concerns about the drinking water supply. The company announced Thursday that it had sealed the hole, which took $84 million, 20,000 cubic yards of grout and a year longer than expected. 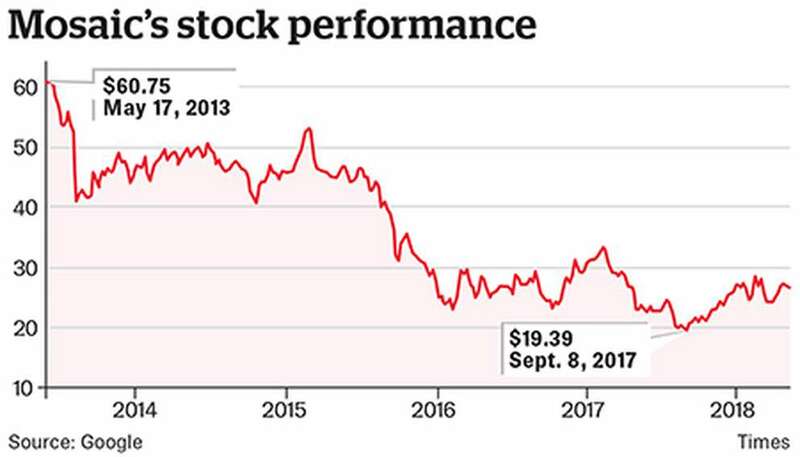 Tumbling potash and phosphate prices have knocked around the company's share price in recent years. Mosaic's stock price fell from $60/share five years ago to about $26 today. That drop looks particularly stark against the S&P 500's 60 percent increase over the same period. The company took a $107 million loss in 2017, though that was largely due to a one-time tax expense of $451 million. In this year's first quarter, Mosaic posted a $42.3 million profit, though that missed analysts' expectations, largely due to poor weather and holdups with the Canadian railroad system. Mosaic CEO James "Joc" C. O'Rourke, who joined the company as an executive vice president in 2009, said during a call with analysts earlier this month that the company expects to have a strong year, helped by improved market conditions, including higher prices and "a considerably more efficient operating model." 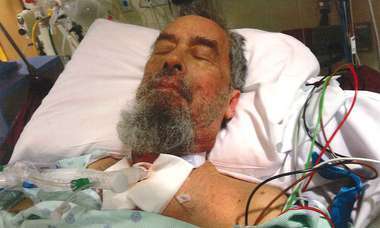 "The past few years were quite challenging," he said. "But we were able to weather the storm, while maintaining a strong financial foundation and completing the largest acquisition of our history." 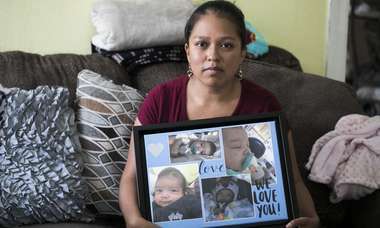 Times staff writer Langston Taylor contributed to this report. Contact Graham Brink at [email protected] Follow @GrahamBrink. Why is Mosaic moving its headquarters to Hillsborough County? • Significant long-term cost savings. • Opportunities to amplify Mosaic's presence in Central Florida and engage more closely with communities where the company operates. • A desire to move closer and have better access to its ample holdings in Brazil and other parts of South America. 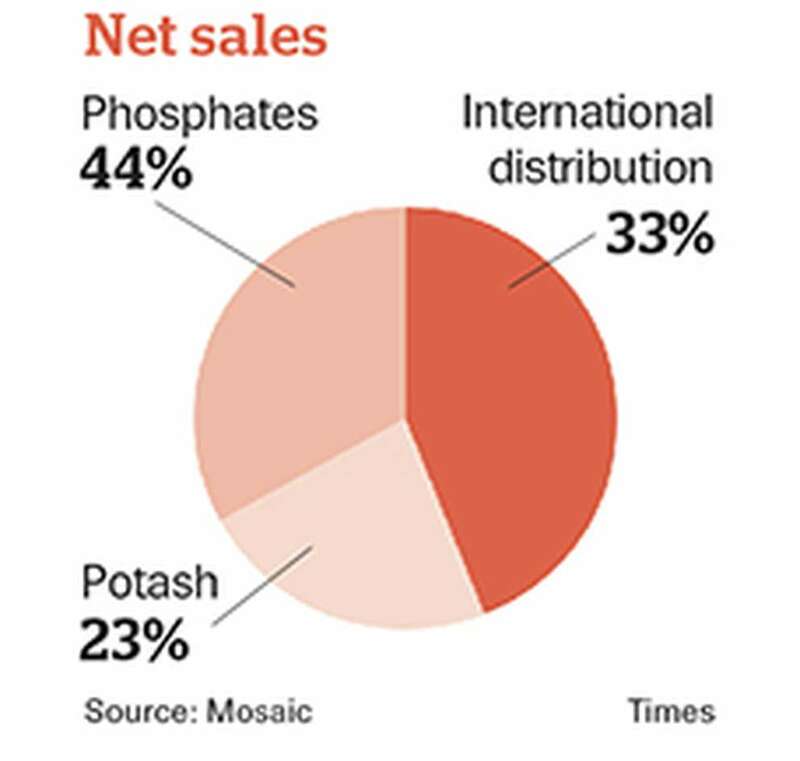 Just how much potash and phosphate does Mosaic mine? A lot. The company is the largest integrated phosphate producer in the world and one of the largest producers and marketers of phosphate-based animal feed ingredients in North America. It's also one of the four largest potash producers in the world. How do they use the phosphate and potash? They turn most of the two vital crop nutrients into fertilizers or animal feed.